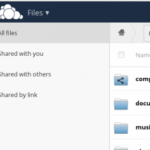 Get the latest packages from owncloud.org/download! Love this recent update! This has fixed so many little issues for me, and I greatly appreciate all the hard work the owncloud team puts in! 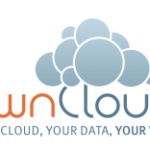 We have upgraded our OWNCLOUD servers with 7.0.4. Really good with the new update 7.0.4. The performance of the Server is very much improved…. does this update effects the performance? Does this update work using the Update Center in the Admin panel? It says “up to date” there although 7.0.2 is installed. Esta instancia de ownClod está siendo actualizada, puede tardar un momento. Por favor, recargue esta página después de un tiempo para continuar usando ownCloud. Contacte su administrador de sistema si este mensaje persiste o aparece inesperadamente. upgraded from 7.0.2-1 to 7.0.4-3, after upgrading ubuntu from 14.04 to 14.10 : just had to redefine suze source with good version of ubuntu.